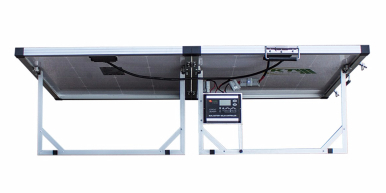 KT have designed the PREMIER of folding solar kits with unique, innovative features, setting it aside from the industry standard. 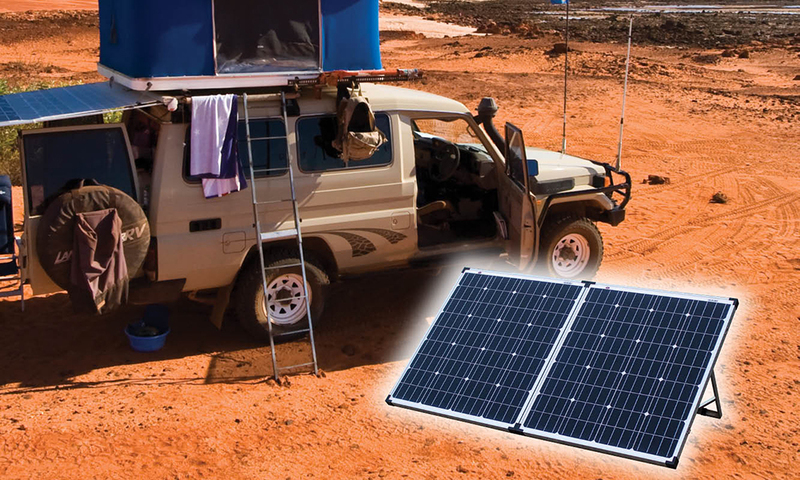 Designed for those who have a passion for camping, caravanning, off-road adventures, boating, or simply after a reliable & portable solar solution to charge 12V batteries. 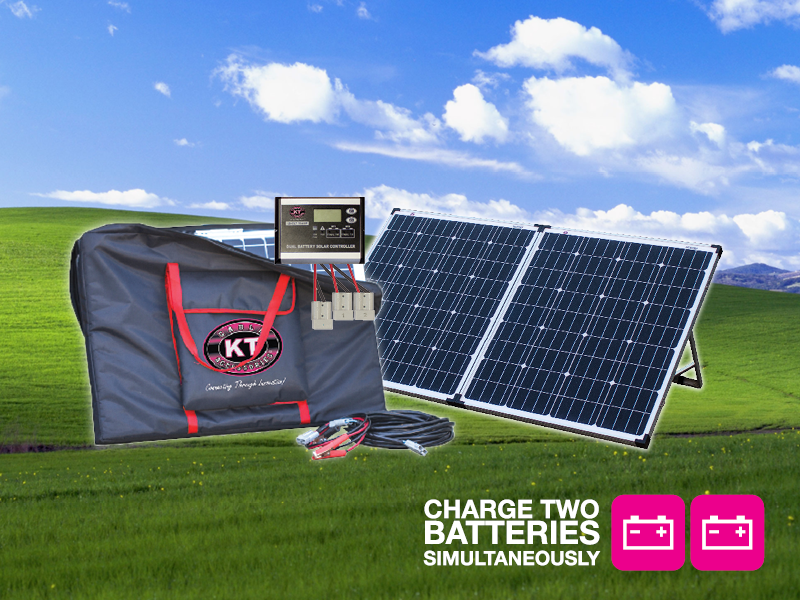 The KT PREMIER 160 Watt, 12 Volt Dual Charging Solar Folding Kit (Model No. 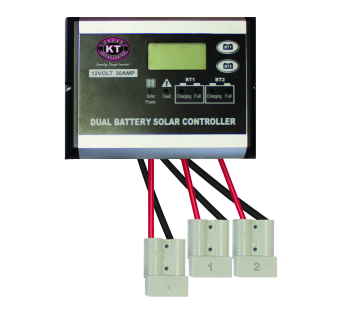 KT70711) is close to a square footprint in size and 2kg lighter than traditional solar kits. With it’s dual charging capability, you now have the option of charging a single 12V battery or two batteries at once. Choose from 6 battery types. Having this selection ensures the correct charge to your battery, with no fear over overcharging and ensuring your batteries life span whilst in desolate environments. In consideration of the applications, conditions and environments that this kit may endure in it’s lifetime, we recognize that durability and performance is critical. With this in mind, this kit is designed with a very strong, sturdy leg frame using aluminium extrusion and stainless steel components. 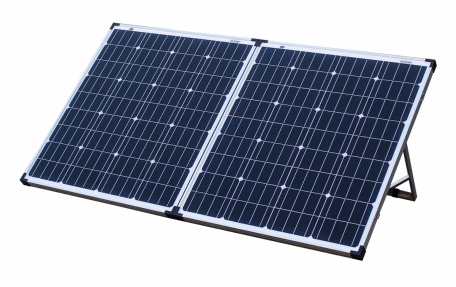 Complete with a 3 year warranty on manufacture and build, a 25 year efficiency guarantee and bar coded for warranty registration recording, this panel is bound to out-perform other industry panels of the same wattage. Innovative design, sturdy support frame with cross bars. 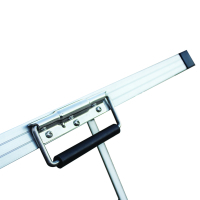 Easily lift and transport your kit using the heavy duty carry handles which are mounted on 2 adjacent sides. 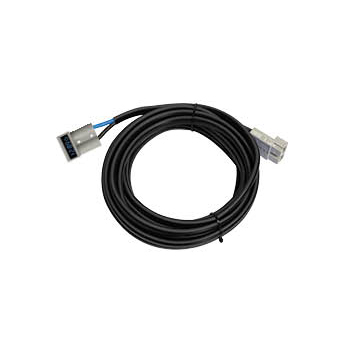 Design Registered 500mm length 4mm2 twin core cable with 1 x 50 Amp Heavy Duty Connector to a pair of positive & negative battery clamps. 10M length cable with one 50 Amp Heavy Duty LCD connector with an in-built voltmeter (4mm2 cable). Reduces voltage drop. 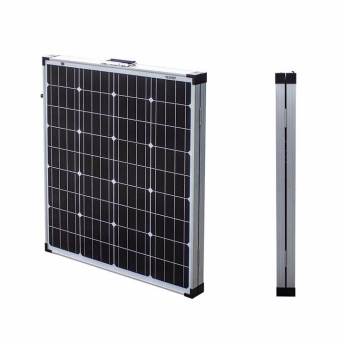 Store and protect your solar folding kit in the heavy duty carry bag provided. Features pockets for storage of leads & accessories.